Welcome to the Destin Beach Ultra Runs 2016! The 24hr/100M will start on SATURDAY February 13, 2016 at 4:00 pm. The 50M, 50K and RELAY are on SUNDAY February 14, 2016. This is an event your family will WANT to attend with you! 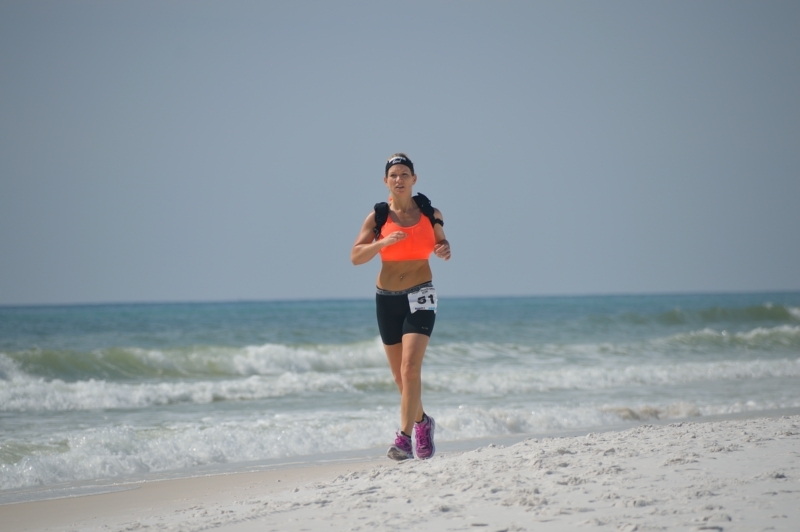 These 100M, 50M, 50K, and 24hr races take place completely on the white sand beaches of Destin, Florida and next to the emerald green waters of the Gulf of Mexico to benefit the Special Operations Warrior Foundation. The Special Operations Warrior Foundation provides a college education for the children left behind when a spec ops member is killed in combat or training. We have the top aid stations in ultra running, top of the line Under Armour race shirts, serious medals, a very organized race that runs on time, the greatest group of volunteers you have ever seen, and a post-race pool party right at the finish! If you want to run a race like no other, in a location with beauty that can not be matched anywhere in the world…then this is your race!